If you are looking for a quality database developer, App Maisters has the solution for you. Whether you are looking to hire a MySQL developer or prefer a NoSQL solution like MongoDB, we can help. Database solutions can power any number of applications and solutions for your business, including human resource management systems and custom customer relationship management systems (CRMs). Whether you need a web application, mobile app, intranet solution, or custom application, we can design and develop it for you. With more than 10 years of experience and a qualified team of experts, App Maisters can handle your most complex projects. You won’t have to struggle with multiple vendors. We can do it all, and we are agile, efficient, and cost effective. As part of our development process, our database development experts will sit down with you and discuss your project, the needs of your business, and your overall objectives. From there, we will recommend custom solutions that are scalable, economical, and highly effective. As a database developer, we have expertise in almost all the major variants of SQL databases, including Oracle, SQL Server and MySQL. SQL, which stands for “Structured Query Language,” is a standard database language used to query relational databases. It is common across all types of SQL databases, from Oracle to Microsoft’s SQL Server. Occasionally, some of the specific instances of SQL might have special commands, but the overall syntax and structure of SQL are the same. The difference in SQL servers is often more about performance and handling of things like memory. Oracle is the gold standard of database servers, providing a very robust version of the SQL query language, optimal performance, and professional support. Oracle is a great option for large, enterprise-level applications that handle sensitive data like financial information. Microsoft SQL Server has a reputation for being extremely fast and stable. It is also recognized as the most secure database server, consistently ranking the lowest in reported vulnerabilities by the National Institute of Standards and Technology (NIST). Microsoft SQL Server has also been named “the most secure database” by the Information Technology Industry Council (ITIC). As a top MySQL developer, we love MySQL for being an open source workhorse that fuels much of the modern web. It’s one of the most common databases used to deliver content on websites. 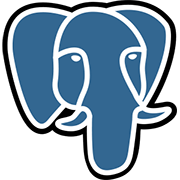 PostgreSQL (often called “Postgres” for short) is an extremely powerful and fast open source SQL solution that can often take the place of MySQL implementations. As expert Postgres developers, we know exactly how to fine-tune this robust database server to fuel the toughest applications. Relational databases based on SQL can do a lot, however, for many modern data needs, something with more flexibility and power is required. This is where “NoSQL” comes in. NoSQL databases are non-relational, more about the “cloud,” and handle lots of “big data.” Whether you want to hire a MongoDB developer or an expert AWS Elasticsearch developer, we can help. 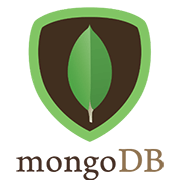 MongoDB is a document database designed to handle large documents and other types of data that would not normally fit in a relational database. If you are dealing with data that can’t be put into an easy box, this may just be the database solution you need. The best part is that MongoDB is flexible, free, and open source. The Amazon Elasticsearch Service is not a full-fledged database like MongoDB. Rather, it is a lightweight service that is excellent for text searches, analytics, and application monitoring. This can be a great solution for applications that don’t require a full database developed. What Database Platform Should I Choose for My Project? You may be wondering whether you need SQL or NoSQL. Should you use Oracle, Microsoft SQL Server, MySQL, or MondoDB? What about Amazon’s solutions? When choosing technology, it can be a big decision, and you want to make the right choice. The great thing about App Maisters is that, unlike other developers, we aren’t tied to just one platform. We will assess your current technology, your project, and your goals and objectives. From there, we will develop recommendations on the best options. You can review our recommendations, and then we’ll choose the best platform and database for your project. Your company’s database is one of the integral factors for day-to-day operations and important decision making. We are here to help you have the best solutions for it. Whether you need SQL server development or a fast and low-overhead solution like Amazon Elasticsearch Service, contact App Maisters. With our expertise in SQL and NoSQL technologies like Oracle and MongoDB, we can develop the right database solution for you quickly and effectively. Whether you need to hire a SQL server developer or a NoSQL expert, try App Maisters.